Every home should have a well-stocked food cabinet. However, unless it’s well-organized, it can be pretty tough to find what you need. 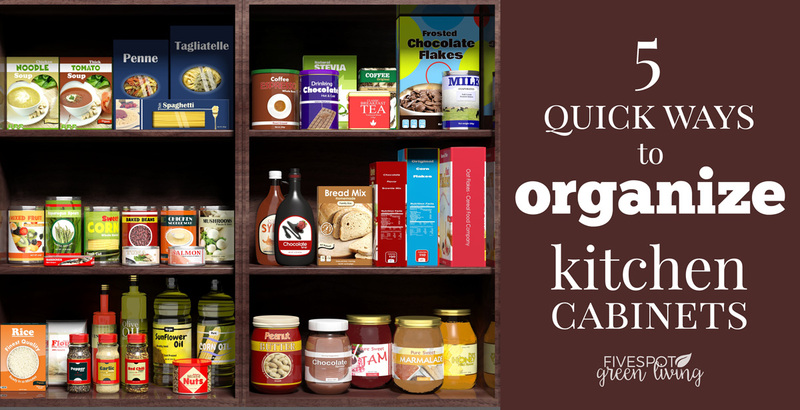 Here are 5 Quick Ways to Organize Kitchen Cabinets while decluttering your life. I have a small cabinet in which to store my pantry items. I am constantly knocking things over unless I arrange them perfectly. 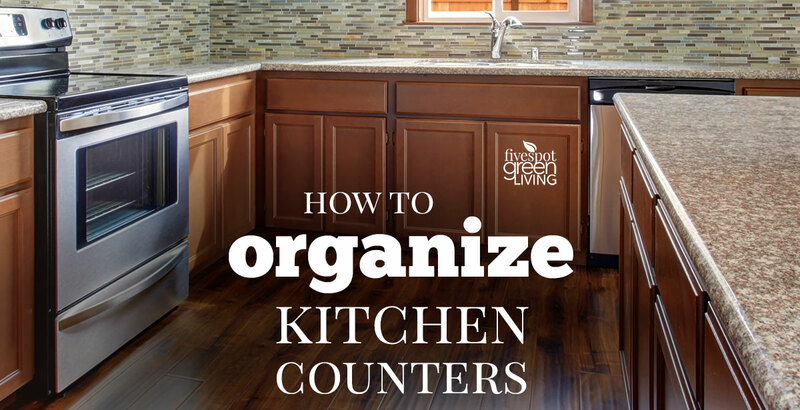 If you are having similar issues, here are 5 quick ways to organize kitchen cabinets for an easier, stress-free storage solution and keeping your kitchen counters more organized at the same time! Food stored in the pantry has quite a few great benefits. It’s convenient, comes in really useful in emergencies and it has an extra-long shelf life. However, as it is known to last a very long time, it’s easy to just forget about it. You may just be surprised by the amount of food you have lurking in the back of the cabinet, which has actually expired. So, start by sorting through the pantry and throw away any expired food items. If you store your cans in a drawer, it’s difficult to see what each one is. All you can see is the silver tops, which means you’re left lifting each and every can to try and find what you need. Labeling the tops of the cans therefore, can save you a lot of time and hassle. You can do this either via a black marker pen, writing what each can is so you can clearly see it when you open the drawer. Or, you can stick labels on top using this inexpensive label maker I like to use. Give it a try – you’ll be surprised how much of a difference it can make. A unique storage idea is to place groups of cans in containers. You can pick up plastic storage containers pretty cheap, then place a label on the front to show what types of cans are being stored there. Another thing you’ll want to transfer into containers is dried foods. Food storage containers are available in a wide range of sizes and designs and they can really make food cabinets appear so much more organized. So, instead of having opened packets of spaghetti, cookies and cereals, place them into plastic food storage containers. Are you guilty of shoving old cans and jars to the back of the cabinet every time you buy something new? It’s easy to do, but it means you’ll often end up throwing a lot of the food away as it expires before you get around to using it. Organizing the food cabinet so that those with the shortest shelf life are placed at the front, is an excellent idea. Work by the last in, last out guideline and you’ll never have to worry about the food expiring, and you won’t need to spend hours checking through all the dates. 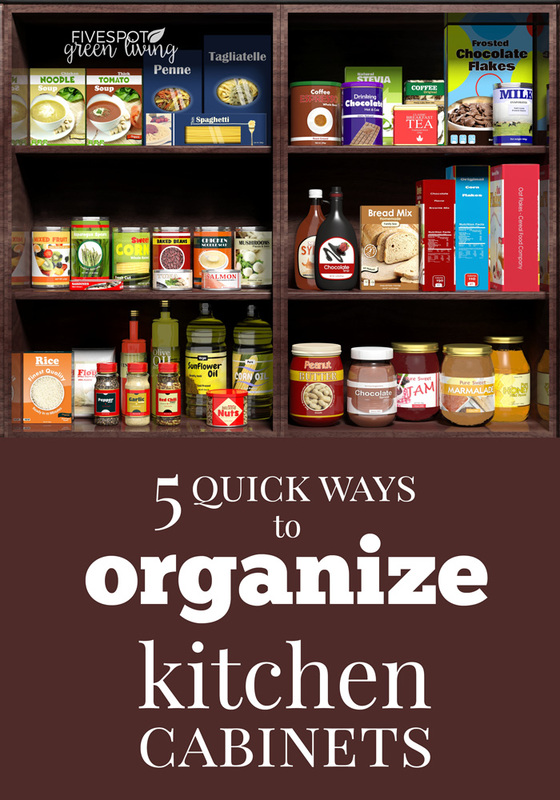 These are just some of the awesome ways to organize kitchen cabinets. 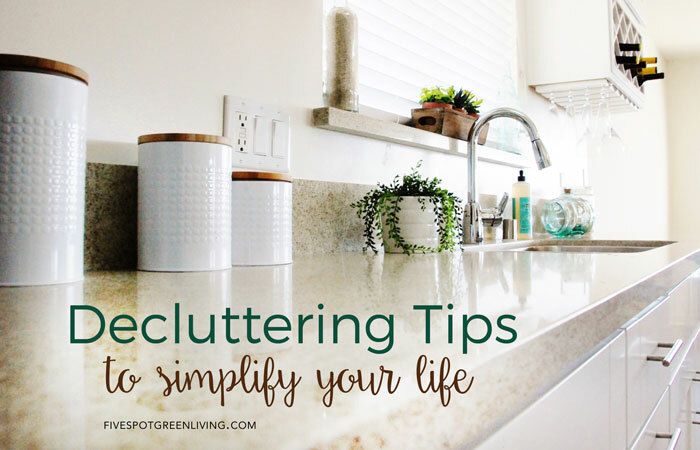 Each is extremely easy and affordable to do and they’ll really help to declutter your life. Great suggestions! My pantry is a mess! Need to get on this. I am always throwing expired can goods away. I need to get some containers. Great ideas for this. Thanks for sharing at Home Sweet Home.